OUR LOTTERY FUNDING HAS BEEN SPENT! 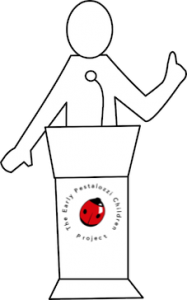 On 30th June this year the Early Pestalozzi Children Project completed the funding period for its Heritage Lottery Fund grant of £9,900. The grant was given to us in order to uncover the lost heritage of the Early Pestalozzi Children from the Pestalozzi Children’s Village in East Sussex. 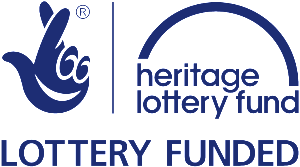 We have now had our grant admin successfully finalised by HLF. The “Sharing Heritage” grant gave us the opportunity to travel – we covered almost 10,000 miles! – and conduct oral history interviews, research archives and make presentations about the early Pestalozzi story. It has also enabled us to purchase equipment and storage resources, finance a heritage display and negotiate further support for the project. In just under two years, there has been both a substantial development of our project and the opportunity to engage in activities that we had not anticipated. Our heartfelt thanks to Heritage Lottery Fund for the grant (and to the Planned Environment Therapy Trust for their advice and encouragement). Here’s a little bit about what we’ve been up to. (The green links will take you to more information about the different activities). 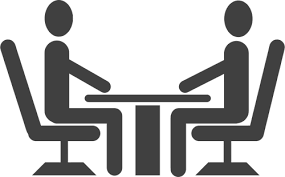 We have now conducted twenty-one interviews and had them transcribed. These have included former early Pestalozzi children, former staff and a volunteer, one staff family member and one former Claverham Secondary School teacher. There have been several visits to East Sussex Record Office in Brighton to sift through some of the Pestalozzi archive so carefully collated by Pam Thomas. This has provided access to various meeting minutes, planning documents and a variety of promotional literature – which all give us a more accurate idea of what was happening and when. Additionally, we have discovered a variety of photographs and press cuttings. While we already hold numerous images, as well as finding some new photos we have been able to discover more vital copyright information. Supported by material we previously found in the National Archive, these resources will enable us to build a fuller picture of our experiences at the Pestalozzi Children’s Village. An important part of our effort is focussed on spreading the story of the early Pestalozzi children. At the moment we can only give a generalised view of the experiences of the first children. We’re delighted to discover that our audiences are genuinely interested in the story. Two presentations were made to academic groups: one to a Special Interest Group of the UK Oral History Society and one to the Education Research Centre of the University of Brighton. Another presentation was made to a local community seminar in St Leonards, East Sussex which fostered interest in conducting community-based historical research. These addresses have helped broaden the awareness of our story and resulted in further support for our activities. However, we are also vitally focussed on spreading our story within the Pestalozzi community. We have been fortunate to gain the interest and support of the current management of the Pestalozzi International Village Trust (PIVT). As a result, our Project is now invited to make an annual presentation about the early Pestalozzi story to each new intake of students. This presentation has also been opened up to local residents, civic dignitaries and people with a former association or support interest in the Pestalozzi community. Last year’s address resulted in the largest attendance so far, including six former early Pestalozzi children, and generated a very positive response. Additionally, our closer involvement with PIVT led to our historic presentation to their Trustees in July of this year. This was the first time, since we left Pestalozzi some fifty years before, that the Trustees have been made directly aware of our story. We realised that they would be uninformed of our past lives at the Village. Our presentation revealed aspects of our history that the Trustees were profoundly moved by. Afterwards, we received some very emotional responses from this audience. Finally, we have been busy with initial preparation for the production of a book about our early story. We are indebted to Prof. Stuart Laing who is providing unstinting help and guidance in formulating the structure of this work. Come back to this website for more information at the end of this month! Presentations have also enabled us to discover other means of promotion. Our attendance at the “Not 1066 & All That” seminar in St Leonards last October provided us with contacts in the East Sussex Library & Information Service. 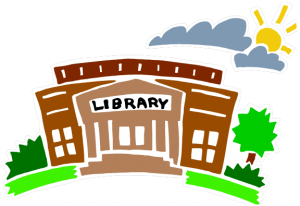 This subsequently resulted in an arrangement at the beginning of this year to display promotional posters in libraries throughout the county, along with a dedicated temporary display established by the staff at Battle Library. In keeping with our aim to spread our story within the Pestalozzi community, we were delighted to be able to fund a display at PIVT to commemorate the most influential figures in the creation of the UK charity. The portraits of the five most significant people (including the UK founders) are now displayed with pride in the entrance of the newly-constructed Pestalozzi Centre in the charity’s estate. We are thrilled that, as a result of the HLF Sharing Heritage grant, the activities of the Early Pestalozzi Children Project are leading to the discovery of more former Pestalozzi children, staff and volunteers. We see this as being the initial stage of an important healing process which begins to reunite these people with their Pestalozzi community. “Your talk really was my favourite and I can honestly say it was so incredibly interesting and I would love to know more about the story.” (Cllr Terri Dowling, Hastings Borough Council). Production of a publication about the early Pestalozzi story within the next two years. Present our story to newly discovered groups. Initiate ideas for the design and development of a Pestalozzi timeline, starting with the early Pestalozzi story. Expand our project’s connection to include family members and former Pestalozzi children from subsequent years. Build a network of former early Pestalozzi children (to include children from the years after the Europeans departed). Four years ago, we could never have imagined what we were going to be able to achieve by this stage. Although there are still more recordings to make and archives to search, a major challenge for us now is to put acquired materials to use and make the most of other opportunities that we’ve discovered. Process acquired oral history recordings and transcripts for inclusion in our archive at the Planned Environment Therapy Trust. Collate material from the numerous documents discovered to date. Discover the copyright ownership of many hundreds of photographs. Develop our website to present a more engaging experience for different audiences. Pursue the means to discover what happened to the “missing” early Pestalozzi children. Engage with former Pestalozzi children and their families via social media. Continue to work with PIVT to help reconnect early Pestalozzi children with their former home. It was good that we spent all of our Sharing Heritage grant. The only problem we have now, with all the work still to be done, is sorting out how to finance the rest of it! We are urgently looking into more grant opportunities to facilitate further development of the Early Pestalozzi Children Project. However, there are essential ongoing costs, such as web hosting, membership fees (which allow us to access important networking and support) and basic administrative expenses. Travel costs also restrict our capacity to conduct interviews and visit archives. Until such time as we acquire further funding, our activities will, inevitably be limited.